The Sensorium Series returns to delight your five senses with taproom exclusive release of Orators and Historians 16oz cans! Congratulations to FC Cincinnati on your move to the MLS! We have been a proud supporter since 11 players took the field for the first time in 2016 in an effort to bring professional soccer to Cincinnati and couldn't be more excited! YES! We're open all weekend and we're hosting Funk Day 2018 on Sunday! The Sensorium Series is a new line of specialty beers aimed at exploring the the five faculties of sight, smell, hearing, touch, and taste. These beers will permeate the far reaches of the palate through small-batch, handcrafted selections available in very limited quantities exclusively at the MadTree taproom. Cans of the dank and delicious Galaxy High imperial IPA are BACK! Taproom release Saturday, March 24th at 10AM and then cans begin being delivered to everywhere MadTree is sold the week of March 26th. We're closing early for the brewery holiday party on Sunday, January 28. The taproom will close to the public at 4 p.m. so everyone can have some fun. Apologies in advance for any inconvenience! MadTree Brewing has expanded their distribution footprint, partnering with Ajax Turner Company in the Nashville, TN metropolitan area. Check out the adjusted holiday hours for the taproom. 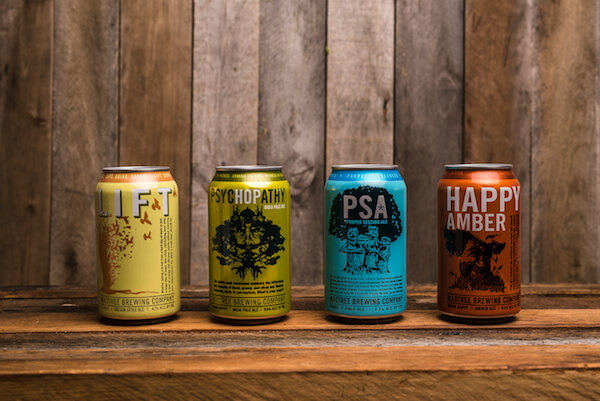 MadTree Brewing has announced expanded distribution plans, partnering with Cavalier Distributing as their distributor for the entire state of Ohio and Beer House Distributing for the entire state of Kentucky. The new territory includes the major cities of Cleveland, Lexington, and Louisville.